Taking time to have a healing session with Caroline during a demanding and intense few weeks was absolutely wonderful. I hadn’t known what to expect, but I totally trusted Caroline’s lead, entering into a profound ceremony of communion with our inner wisdom and beings of light. Caroline was so gentle, skillful and empowered – using her precious gifts, truly in touch with higher dimensions and the healing power of love. Sometimes I stood to move and breath, or sat and closed my eyes relaxing. It didn’t matter that we were in different countries, seeing each other on our laptops! Unconditional love was given, insights abounded, truth was spoken and guidance and care were thankfully recieved. It took me 24 hours to absorb and begin to articulate the experience. After my nap, I discovered that Caroline had emailed me images and readings in support of our session – which were so pertinent and felt like unexpected extra gifts of encouragement and affirmation. The next day, having shared my experience with my soul mate husband, we entered into a profound healing communication together which was the realisation of some of the wisdom I’d received in session. And now, ten days later, I still feel nourished and changed by the healing as it continues to inform and support me as I meet all that is in store for me. I wholeheartedly recommend gifting yourself a healing session with Caroline – a delightful, deeply nourishing and transformative experience leaving you resourced and ready for all of life’s leaps and meanders. Caroline is such a generous, kind and loving person. She provided such a safe and loving environment for the healing session. As someone who doesn’t always find doing things on line so easy, this was particularly important to me. 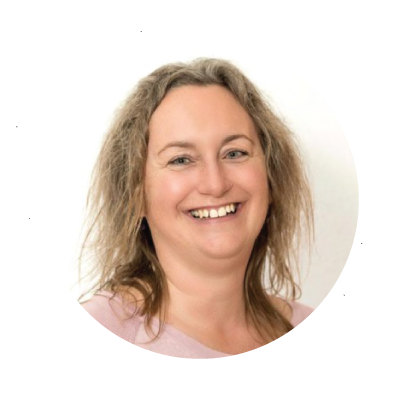 Caroline showed such insight during the session, helping me to further release and heal old emotional wounds, which had become very deeply engrained within me. A significant while afterwards, I am still able to recall and feel into the words, images and feelings from the session, which I think is a testimony to the depth and power of Caroline’s work. I am very grateful to have had this healing experience with her, and would highly recommend Caroline’s work to others who wish to heal or release old emotions and stories, and to call more love, joy and beauty into their lives. My session with Caroline was very calming, warming and she helped to put me at ease. I did explain a few things I wanted to cover but there were things that Caroline mentioned that were specific to me that I would never have mentioned, which I didn’t expect to happen but am very glad did. I highly recommend Caroline for her loving, intuitive and caring nature. During my session with Caroline, I felt like I was in a cocoon, a confortable space. She held me in a safe and loving space in which I felt confident. I could feel all the shifts in a magical and soft way. She could understand clearly where I was without explaining it a lot. I retrieved my joyful inner child for a few minutes and also the unconditional love that I have received decades ago. This feels like seeds for a big transformation. Two days after the session, I still feel loved and confident to tell my truth. Yesterday I had a beautiful healing session with the lovely Caroline. I can not express fully in words the amount of gratitude I feel for her in this moment. I wasn’t even able to talk the session through with her after the healing because I was still releasing and crying. Everything that has been coming up for me in 2017 just came up, fell into place and was cleared. We were so connected that every time she would ‘see’ something, it was exactly what I was seeing….! Caroline also pulled cards for me and they were totally in the same line and vision of everything that came through for me during the healing session. I feel more focused and clear and ready to take on 2018 as the year that I ground my dreams into reality! Thank you Caroline for holding space for this energy to fully align into my mind, body and soul! Caroline is very warm and tender-hearted. She has very supportive energy, allowing you to feel safe and cared in her company. Carolines connection to spirit and angels imbue’s her work with a touch of heaven. She is a wise and gracious leader offering invaluable work and sacred space for healing and growth. Her own journey healing past relationships and finding self love means that Caroline is a gentle understanding guide that knows the path well. Caroline is one of the most loving and gentle souls I know. Her energy is filled with love and she sees everyone with so much compassion and offers her wisdom so generously. I love how she shares her stories and challenges with such an open heart and by doing so she helps others to feel safe enough to open up their hearts too. I highly recommend working with Caroline and know she will always show up fully and shower her soul sisters with unconditional love. My healing session with Caroline Palmy was an incredible experience. I felt like I had a week’s holiday by the beach by the end! Caroline holds a very loving and nurturing space for deep healing to take place. Her support brings you into a wonderful place of peace, flow and connection. My experience with Caroline Palmy was truly magical and she deeply rooted into my Soul wounds from her first breath. You know you have found the healer for yourself when they touch that nerve and the release begins. I could feel and sense the pains that were hiding out gently come to the surface and my freedom allowed me to breathe fuller and become captivated with all of Caroline’s flow of Spiritual information. Caroline gave me one of the most powerful healings I have ever experienced. Her healing addressed specific issues I was having with moving forward in my life as I was struggling with being overcome by fear that stopped me in my tracks. Caroline helped move the fear out, and she also talked with me and gave me ways to think about the thoughts and feelings that block me from achieving my goals. Listening to her was like listening to the advice and wisdom of an angel who knew me well. I wrote down much of what she said so I could refer back to it often. What a remarkable session. I am full of gratitude. Caroline had such a gentle and kind way of supporting me to drop my guard and really open to receive. As a generous giver I can find it hard to allow others in and feel safe being seen. Caroline very accurately relayed to me challenges that I was facing and channeled comforting messages that supported me to release and heal old misperceptions of myself. As a result I felt more powerful knowing it is truly safe to be loved. I felt myself return to my innate tenderness with a new level of trust and receptivity. Thank you for the session today! I already feel so much better – like a huge weight has been taken off of my shoulders and like I can fully step into who I am (and also recognize and accept the support around me). I was amazed at how you hit on points that were so subtle, yet profound in my life. How even the analysis of who I was in a past life tied so closely into who I am today – how I act, what I do. Integrating that energy into the present moment and grounding into this space was profound for me. Profound is almost an understatement. Thank you so much for sharing your gifts – for seeing me and allowing me to see myself. You lifted a veil and showed me a way to let more light into my world. I appreciate it more than you could know. My session with Caroline was so lovely and peaceful. Caroline has this incredibly calm and loving energy that she wraps all around you. Her insights and comments were spot on, really touching on what’s playing in my life, helping me to see things clearly. I felt stuck for a while and was also dealing with some minor health issues, but all of this cleared up in the days following my time with Caroline, like the light was shining just so much brighter again. If your heart and soul need a little bit of healing, then I would highly recommend you to get in touch with her. My healing session with Caroline was so beautiful and very powerful. She was able to go deeply but with a very gentle and loving energy. I felt very safe and supported during our time together and I felt a huge sense of relief and reconnection. Caroline is a experienced and powerful healer with such a gentle and loving approach. Thank you Caroline for being who you are. Your words are so poetic and so strong. You send through them such a soft and beautiful energy. It’s like being carried by a veil of love and sweetness. You always take the time to listen carefully and to answer intuitively. And this is a real treasure. Thank you for sharing your precious gifts with us. You are magic! My session with Caroline was incredibly powerful, unlike anything I have ever experienced. She was able to feel into each part of me and accurately identify the blocks – very specific memories that apparently were still being held in my energy system. The messages were all super clear and specific, nothing was vague or general. I could physically feel the energy leaving my body and my heart opening. I feel lighter and more sure of myself – it definitely feels like something heavy has been lifted. Caroline has a very powerful gift and is truly special. If you’re feeling out of balance, heavy or in need of some loving care, then I highly recommend a session with Caroline, you’ll be able to move forward again without this feeling that something is holding you back. Caroline is a very warm, compassionate and supportive woman. Her loving attention and energy has helped me through some challenging times. When you’re feeling hurt and alone, looking for a safe haven, connecting with Caroline is the best choice you can make. Thank you for my beautiful healing session it was devine and left me feeling calm and connected. I’d highly recommend this to anyone who is after a reset or needs to feel more aligned. When Caroline offered to do some energy healing for my daughter, Beth, I was at my wit’s end. Beth, who is 9, had just developed her third bout of pneumonia in as many years, despite all my efforts to try and keep her healthy and well. I posted on Facebook to ask what I could do to help her recover and build up her immunity to prevent her succumbing again. Caroline responded to my post by offering to do some energy healing for Beth, and for me. I live in England and she lives in Switzerland and, I must confess, I did wonder what difference she could possibly make from so far away. She told me exactly what time she was going to do the healing and what she was going to do. After the first healing session, I observed a noticeable difference in Beth. I can’t really explain what it was other than that she just seemed lighter. She was laughing more and she seemed to gain in confidence. Caroline did a few more sessions and, each time, I observed Beth grew in strength. I also felt stronger and less inclined to cry or beat myself up for failing to keep my daughter healthy and well. Caroline has an incredible intuitive healing ability and she is also one of the warmest and most compassionate people I have ever had the pleasure to meet. If you are considering working with her, you won’t be disappointed. Herzlichen Dank für die wunderbar tiefenentspannende Meditation gestern Abend! Die Engel waren wahrhaft anwesend….einer hiess Caroline. Von ganzem Herzen danke ich dir für das wunderschöne Reading. Es ist jedes Mal so passend und es trifft die Situation im Moment immer ganz genau. Du hast so eine wunderbare, liebevolle Art, die mich immer wieder sehr berührt.